The risk of infection coming in via legal meat imports from most of Europe is considered ‘extremely unlikely’, given the EU controls in place and the relatively low volume of imports from infected areas. However, the threat of infected meat arriving in consignments of fresh or frozen pig meat or untreated products of pig origin from Romania is rated as ‘likely’, that is more than a 10% chance. In fact, a potentially infected consignment was destroyed in the UK after the Romanian authorities alerted the Government to a positive test in an animal at the abattoir the consignment came from in May 2018. Several consignments of frozen pork ribs from a different Romanian company have since entered the country. Investigations showed the products, estimated to have come from 23,000 pigs, were derived from farms across Romania, including regions that subsequently came under restriction. Voluntary testing of some pigs was undertaken in Romania but this was deemed insufficient and the consignments were destroyed, with the agreement of the importer. Between July and September, there were a further 500 consignments from Romania of more than 700 tonnes of sausages, offal and other products, including some from pigs from areas now under ASF restriction. It was not clear if the products had been treated to protect against the virus. Given the unstable epidemic situation in Romania, the very low level of voluntary testing of herds of origin and the slow- moving nature of ASF within a pig herd, the probability of meat from at least one infected pig being present in consignments from Romania is considered ‘likely, with low uncertainty’, the report states. The probability of people arriving in the UK with infected products from infected regions that haven’t been sufficiently treated is considered ‘likely, with moderate uncertainty’. These are most likely to be derived from non-commercial farms. 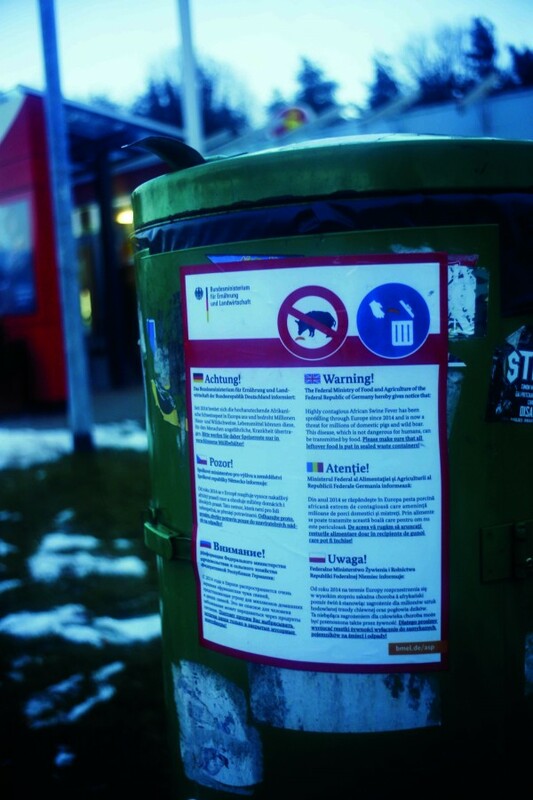 The ASF virus can be carried on clothing and footwear that has not been cleansed and disinfected and can persist for several days, particularly if protected by organic matter. Given the large numbers of walkers, hunters and farm workers returning to the UK each week, Defra considers it is ‘likely, at least a 10% chance’, that at least one person will bring contamination back to the UK. 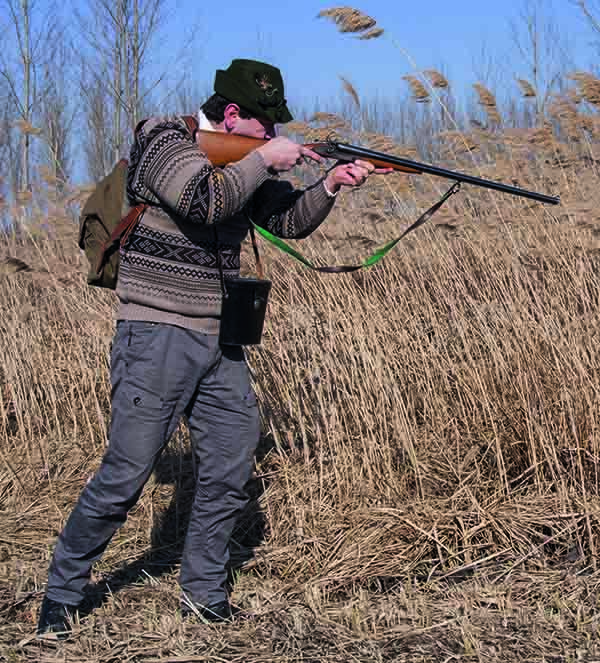 Defra noted that some travel companies are offering organised hunting trips to affected parts of Poland. There has been a significant rise in road vehicles registered in Eastern Europe travelling though UK ports in the past decade. Vehicles registered in Poland now account for 20% (415,000) of all commercial vehicles travelling though UK ports from mainland Europe. Romania is ranked the third country for foreign vehicles in the UK. ASF infection in much of Europe. Hunting vehicles and any vehicles that have carried pigs are of particular concern. There is no requirement for private vehicles to be cleansed and disinfected before entry into the UK, although the long distances involved from most infected areas offers some degree of mitigation. Commercial livestock transport is not considered a threat, however, as there is only limited trade in livestock from the affected regions and cleansing and disinfection rules do apply. Defra also highlights the ‘likely’ risk of shipping bringing passengers carrying illegal meat products, contaminated vehicles and contaminated catering waste. The risk of the virus arriving via biting flies or ticks, probably from Belgium, is considered a low probability, reducing to negligible in the winter months. Infection from grain crops is considered unlikely unless infected wild boar die in fields, are not disposed of and contaminate the crop. Transmission via blood plasma in feed remains a ‘credible pathway’ but it is banned under the Red Tractor scheme. The document also considers the risk of the virus being exposed to three ‘sectors’ – commercial pigs, backyard pigs (smallholders) and feral pigs. It is the latter two of these that are adjudged to pose the greatest risk. The report concludes that it is ‘very unlikely’, with high uncertainty, that the virus will be exposed to commercial pigs, given the ‘high awareness of commercial pig keepers in the UK following the communications campaigns currently running’. It notes that the majority of the UK commercial pig sector is part of the Red Tractor scheme, which has good biosecurity. But it highlights importing live pigs into farm, shared animal and feed transport vehicles and equipment, contact between farms and contact with feral pigs as possible routes of infection. It also highlights the high number of workers from affected countries in the UK, but says biosecurity protocols, such at least three days away from farms on returning from abroad and changing clothes and shoes before entering a premise, should ensure any virus they bring back is kept away from pigs. Swill feeding is considered the most likely pathway for ASF virus to enter a UK pig farm, given how the virus can survive in certain products. The practice is banned in the UK and EU, but Defra notes that there may be some swill feeding carried out in backyard premises or inadvertent disposal of products in an area with free-range pigs or feral pigs. 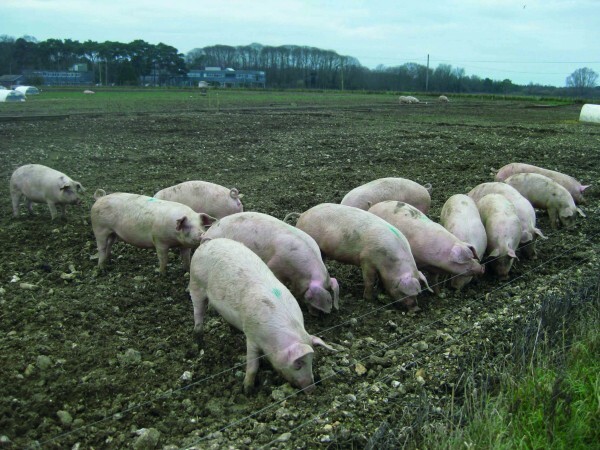 Given the number of people travelling from Eastern Europe and potentially bringing back contaminated products, it is ‘likely, with high uncertainty’, that the virus could be exposed to these ‘non-commercial and low biosecurity pig farms’. There are several populations of unmanaged feral boar in the UK, including in the Forest of Dean, where numbers are estimated to have risen to over 1,200. There is no level of feral boar density below which establishment of disease would be negligible, the report states, adding that the exposure of contaminated products to this population is dependent on the access to food waste. Worryingly, the report highlights anecdotal information that pigs in the New Forest, in southern England, have had access to commercially produced sausages, albeit cooked. 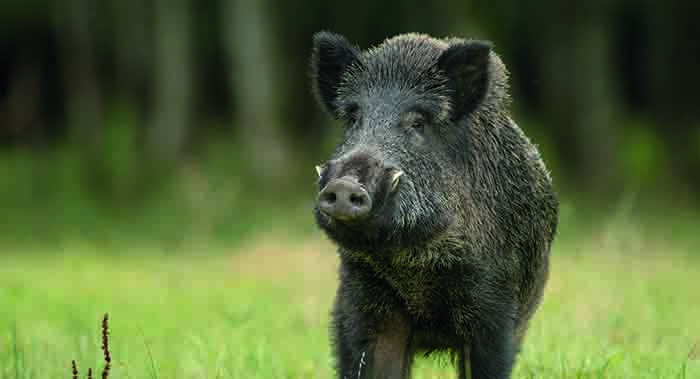 Feral boar infection is a ‘credible risk pathway’ and is ‘considered likely’, while feral pig contact with non-commercial pig farms ‘cannot be ruled out’. The report concludes that exposure to the UK pig population cannot be ruled out. “Risk management would therefore be recommended,” it advises.